Wouldn’t it be great to get customer feedback before there are even customers so you know what new features and products to prioritize? Yes, we’re talking about gathering feedback from customers who don’t yet exist, for a product that doesn’t yet exist, to create a product that will perform better, sell better, and get rave reviews. It’s just the opposite way Product dev usually works. The usual way: When evaluating a new product, usually you present the product, a minimum version of the product, or a beta version of the product, to a group of users (or beta testers) and listen to their feedback (qualitative data) and look at their behaviors (behavioral analytics) to see where you’ve succeeded, and where you still need to pick out the bugs. But on brand new features and products that aren’t launched, knowing that customers want and need most is educated guesswork. A series of hypotheses and trials. We’re going to show you how to leverage qualitative data to build better hypotheses to reach successful new products and features faster. 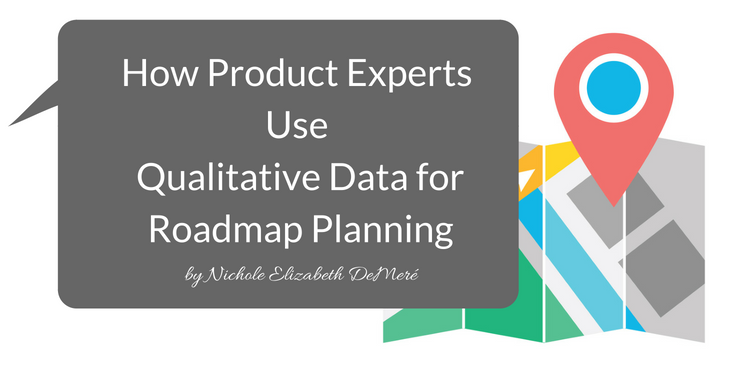 How can you leverage qualitative data when the product or feature doesn’t exist yet? You have to talk to customers who don’t exist yet. When preparing to create a new product or feature, your first task is to speak with potential future customers – people who are a good fit for the solution you’re thinking of building. If you have an existing user base and are planning to introduce a new feature, you can start there by finding groups of people whom you think are likely to need it. What goals, inside and outside of work, are you hoping to accomplish today, this week, and this year? Tell me about your work process – what do you do exactly? What frustrates and aggravates you on a regular basis – what are the hurdles between you and getting things done? What might make reaching your goals easier? Then, present your product idea and ask if they think it could help them reach their goals and reduce (or eliminate!) the hurdles. Of course, interviewing individuals doesn’t scale. So when you do have hundreds or thousands of users to poll about a new feature to your existingproduct, you’ll need to gather your qualitative data a little differently.